The magic of Equestria cannot be contained! It’s found its way into the world and it’s turning everything on its head. From afterschool clubs to beach days, music festivals to theme parks, and a rockin’ Spring Break on a yacht, magic is sure making things interesting. Join Sunset Shimmer and the Mane 6 as they learn what it means to be superheroes while they take on their biggest challenge yet: high school. 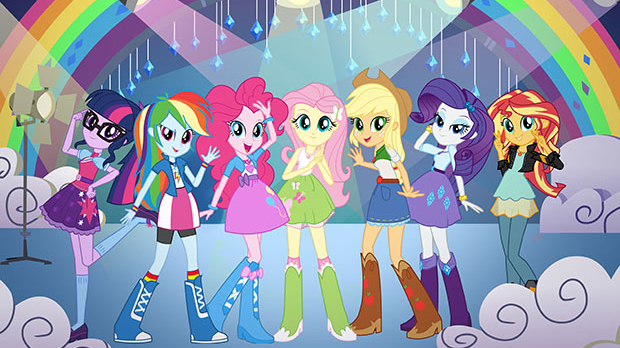 Look into the Mirror, Dance to the rhythm, and discover a little Movie Magic with My Little Pony Equestria Girls. Twilight Sparkle, Applejack, Fluttershy, Pinkie Pie, Rainbow Dash, and Rarity have their ups and downs at Canterlot High – from creating a music video for a competition to finding too much adventure on a movie set to being trapped in a magic mirror! 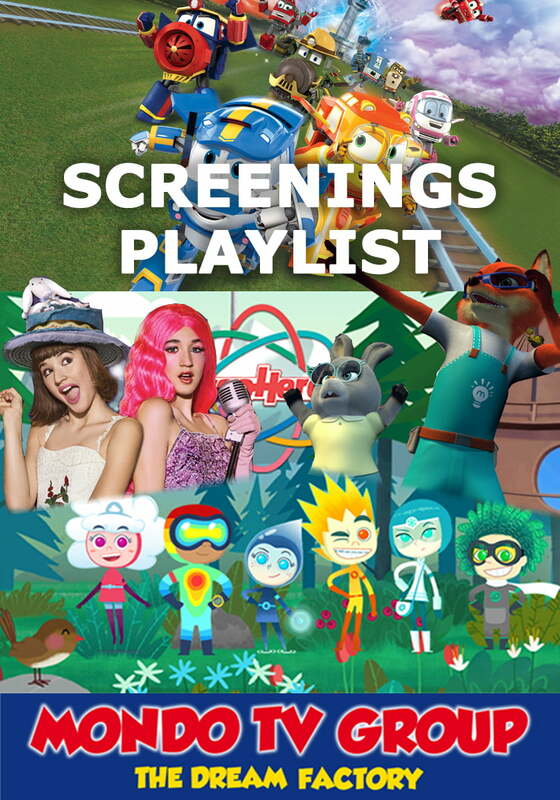 Step into the music as you have “reel” fun seeing inside with these My Little Pony Equestria Girls specials. In the next two Equestria Girls specials, the magic of Equestria cannot be contained! It’s found its way into the world and it’s turning everything on its head. From afterschool clubs to beach days, music festivals to theme parks, and a rockin’ Spring Break on a yacht, magic is sure making things interesting. Join Sunset Shimmer and the Mane 6 as they learn what it means to be superheroes while they take on their biggest challenge yet: high school.